I have my absolute favourite eyeshadow palettes that I use consistently until they need replacing. 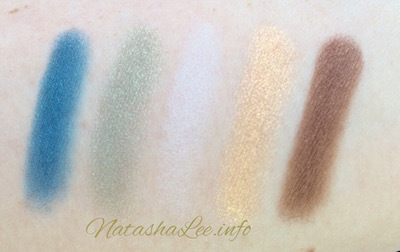 These are normally the Benefit World Famous Neutrals – Sexiest Nudes Ever (which everyone always comments on and I wear in a lot of my vlogs) and Too Faced Natural Eye – Neutral Eyeshadow Collection. However, who can refuse a bit of Dior and it’s luxurious presentation, so I couldn’t resist getting my hands on the Dior 5 Coulours Contraste Horizon Limited Edition eyeshadow palette, to see if I could be drawn away from my favourites. I’m pretty staid in the colour ranges that I normally go for – neutrals/pinks/purples – so I decided to think outside the box. For my Dior eyeshadow review, I opted for the the Limited Edition Palette – Couture Colours & Effects with it’s vibrant teal, soft sage, golden honey and rich bronze tones. As you would expect from Dior, the packaging and wrapping it very high end. I purchased mine from Debenhams which meant that I could have it gift wrapped. 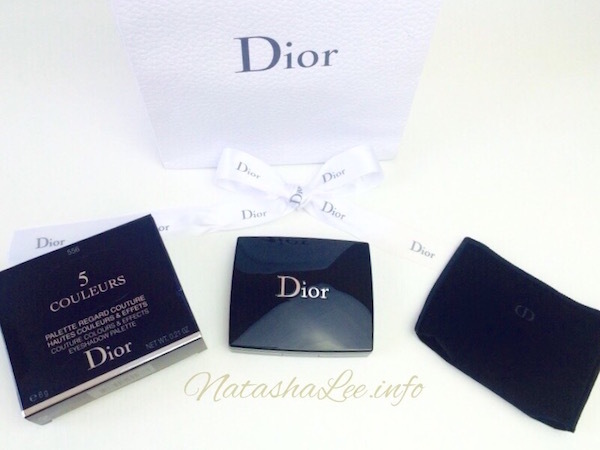 The Dior gift bag is a beautiful embossed leather-effect white with a matte charcoal coloured “Dior” on each side. The bag is tied with a beauty white satin Dior ribbon in a bow. 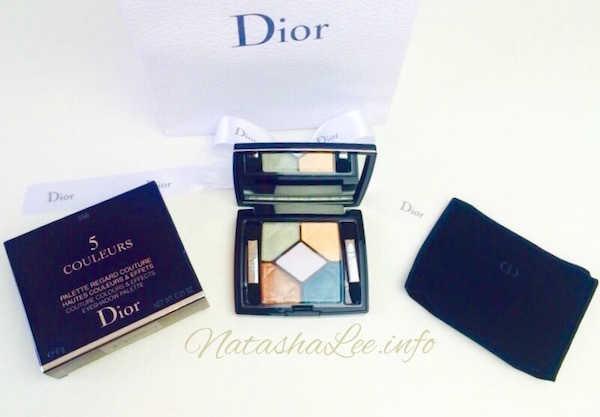 The actual packing for the Dior eyeshadow palette makes it immediately obvious that you are buying a designer item. I don’t buy cheap products, but the packaging for the 5 Colour palette really is a cut above. The box is a high gloss navy/black with embossing and silver detailing. Inside, your Dior eyeshadow palette is snuggly nestled within a good quality, velvet pouch again embossed with the iconic “CD”. The pouch is even velvet inside as well as out! The palette itself is high gloss navy/black with silver banding and Dior embossed in silver on the top. The catch for opening and closing the lid is easy to use without trashing your nails and the hinges feel sturdy enough that with regular usage they will keep their tension. There is a mirror in the lid that is a really good quality, non-distorting glass mirror. As it covers the entire surface area of the lid, it give a good coverage so you could use it if needed to apply all you makeup if you were on the go. There are 2 applicators that come in the Dior eyeshadow palette, which again, are pretty good if you are on the go and don’t have your usual kit with you. 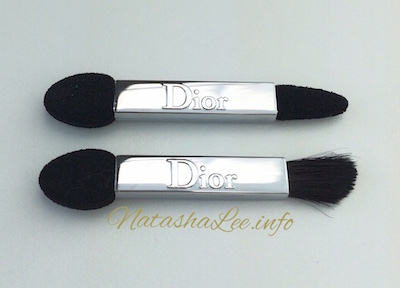 The applicators are well thought out and both have the instantly recognisable silver Dior handles. The first eyeshadow applicator has a standard sponge end which is actually very soft and picks up the shadow well. The other end is a blending brush. It’s not as good as my usual blending brushes, but it is very good in comparison to others I have tried. The second applicator has another standard sponge applicator at one end and a detailing, pointed sponge applicator at the other end. Both are perfect for using in emergencies, however the pointed sponge applicator did separate at the end the first time that I gently cleaned it. This meant that the shaped plastic inside used for the keeping the sponge shape firm, was exposed and could really hurt your delicate eyelid tissue, which was a disappointment. I was a little wary to be honest of the vibrancy of the teal and bronze considering that I normally wear more neutral shades. 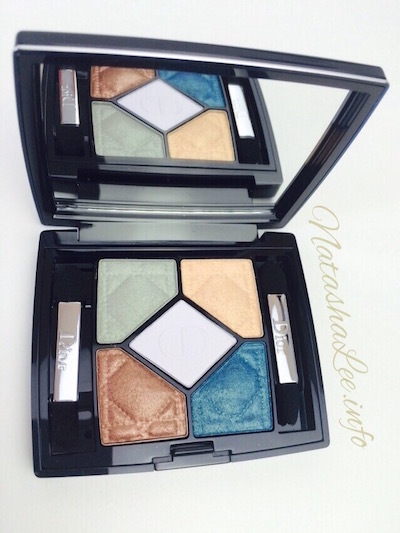 The Dior 5 Couleur palette is created with the intention of producing 2 styles of look i.e. Natural and Sophisticated, in 2 colour ranges. Both the green and bronze looks are created around the central shade, which in the Contraste Horizon, is white. 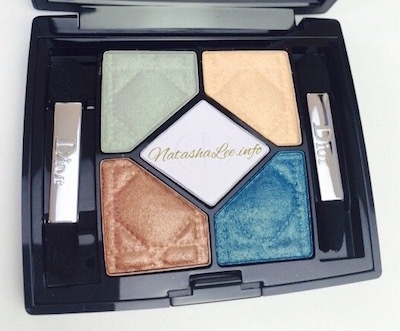 I was expecting something pretty special from Dior when it came to the 5 Couleur palette and in the most, it didn’t disappoint. However, the one colour that didn’t perform like the rest was the white. The coverage is dry, poor and patchy and doesn’t have the lovely creamy, opacity of the other colours. To try and get a noticeable swatch on my skin for the picture, I had to apply it several times. However, the other 4 colours made up for the disappointment with a beautiful mix of effects ranging from satin and shimmer to iridescence. 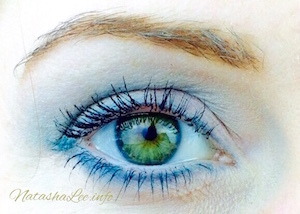 The teal is by far the most beautiful with an intense iridescent shimmer. However, due to it’s intensity it is best to apply it sparingly in layers over the sage and blend the layers for a truly perfect finish. The same applies for the intense satin and iridescent bronze, but this blends much more easily over the shimmery golden honey. 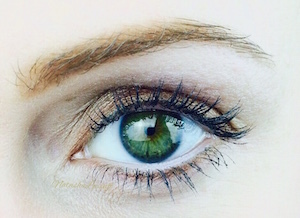 For a natural daytime look apply the medium (sage or honey) shade on the whole eyelid. 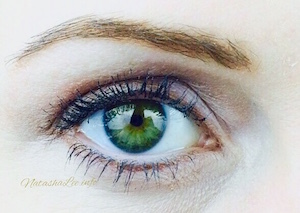 Follow by applying the darker shade (teal or bronze) along the lash line and blend. Using the white, apply beneath the arch of the brow and in the inner corner and blend gently to avoid looking the coverage. For a Sophisticated nighttime/party look, apply the white evenly and generously over the whole eyelid. 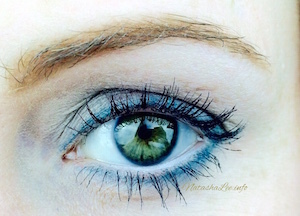 Using the darker shade (teal/bronze) apply as a contrast along the lash line and crease to create shape and structure. Finish the look by applying the medium shade (sage/honey) in the outer corner and blend out into a point to widen the eyes.